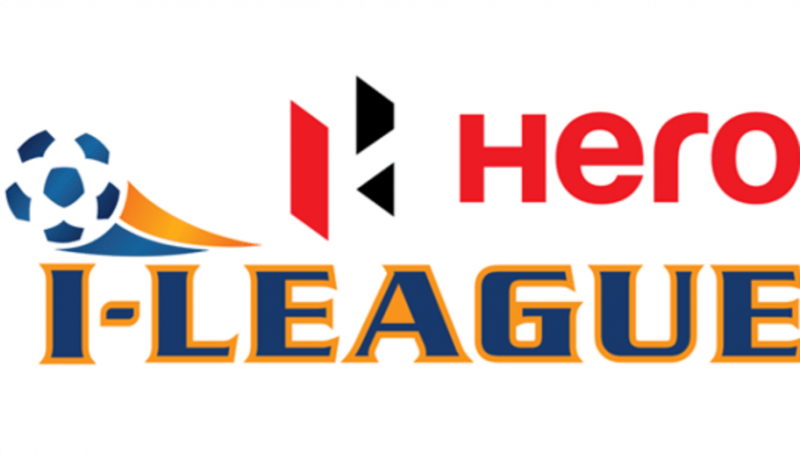 Provisional Fixture for the Hero I league 2018/19 released. Hero I-League 2018/19 season sees Indian Arrows take on Chennai City at the Nehru Stadium in Coimbatore in the opening game of the season on October 26 in a 5 pm IST kick-off. Defending champions Minerva Punjab will begin their new campaign two days letter when they face Churchill Brothers in Chandigarh’s Tau Devi Lal stadium, which is also Ranjit Bajaj’s side’s new home ground. Kolkata giants East Bengal and Mohun Bagan will kick off their season away from home on the second day of the new campaign when they face NEROCA FC and Gokulam Kerala FC respectively. 26/10/2018 – Chennai City FC vs Indian Arrows. Coimbatore, 5 pm. 27/10/2018 – Neroca FC vs East Bengal FC. Imphal, 2 pm. 27/10/2018 – Gokulam Kerala FC vs Mohun Bagan AC. Kozhikode, 5 pm. 28/10/2018 – Minerva Punjab FC vs Churchill Brothers FC Goa. Chandigarh, 2 pm. 31/10/2018 – Minerva Punjab FC vs Real Kashmir FC. Chandigarh, 2 pm. 31/10/2018 – Neroca FC vs Gokulam Kerala FC. Imphal, 2 pm. 1/11/2018 – Shillong Lajong FC vs East Bengal FC. Shillong, 2 pm. 1/11/2018 – Chennai City FC vs Churchill Brothers FC Goa. Coimbatore, 5 pm. 3/11/2018 – Aizawl FC vs Neroca FC. Aizawl, 2 pm. 4/11/2018 – Gokulam Kerala FC vs Chennai City FC. Kozhikode, 5 pm. 5/11/2018 – Indian Arrows vs Shillong Lajong. Cuttack, 5 pm. 6/11/2018 – Real Kashmir FC vs Churchill Brothers FC Goa. Srinagar, 5 pm. 7/11/2018 – Mohun Bagan AC vs Aizawl FC. Kolkata, 5 pm. 10/11/2018 – Aizawl FC vs Minerva Punjab FC. Aizawl, 2 pm. 10/11/2018 – Indian Arrows vs Mohun Bagan. Cuttack, 5 pm. 11/11/2018 – Real Kashmir FC vs Neroca FC. Srinagar, 2 pm. 11/11/2018 – Gokulam Kerala FC vs Shillong Lajong. Kozhikode, 5 pm. 15/11/2018 – Churchill Brothers FC Goa vs Shillong Lajong FC. Vasco, 7:30 pm. 16/11/2018 – Aizawl FC vs Chennai City FC. Aizawl, 2 pm. 16/11/2018 – Indian Arrows vs East Bengal FC. Bhubaneswar, 7:30 pm. 18/11/2018 – Gokulam Kerala FC vs Minerva Punjab FC. Kozhikode, 7:30 pm. 20/11/2018 – Real Kashmir FC vs Mohun Bagan AC. Srinagar, 2 pm. 23/11/2018 – Shillong Lajong FC vs Minerva Punjab FC. Shillong, 5 pm. 24/11/2018 – Aizawl FC vs East Bengal FC. Aizawl, 2 pm. 24/11/2018 – Chennai City FC vs Neroca FC. Coimbatore, 5 pm. 25/11/2018 – Real Kashmir FC vs Indian Arrows. Srinagar, 2 pm. 25/11/2018 – Mohun Bagan AC vs Churchill Brothers FC Goa. Kolkata, 5 pm. 30/11/2018 – Gokulam Kerala FC vs Churchill Brothers FC Goa. Kozhikode, 5 pm. 1/12/2018 – Minerva Punjab FC vs Indian Arrows. Chandigarh, 2 pm. 1/12/2018 – Mohun Bagan AC vs Chennai City FC. Kolkata, 5 pm. 2/12/2018 – Shillong Lajong FC vs Neroca FC. Shillong, 5 pm. 4/12/2018 – East Bengal FC vs Minerva Punjab FC. Kolkata, 5 pm. 5/12/2018 – Real Kashmir FC vs Aizawl FC. Srinagar, 2 pm. 7/12/2018 – Neroca FC vs Indian Arrows. Imphal, 2 pm. 8/12/2018 – East Bengal FC vs Gokulam Kerala FC. Kolkata, 5 pm. 9/12/2018 – Churchill Brothers FC Goa vs Aizawl FC. Vasco, 5 pm. 11/12/2018 – Real Kashmir FC vs Shillong Lajong FC. Srinagar, 2 pm. 14/12/2018 – Indian Arrows vs Aizawl FC. Cuttack, 5 pm. 15/12/2018 – Neroca FC vs Churchill Brothers FC Goa. Imphal, 2 pm. 15/12/2018 – Gokulam Kerala FC vs Real Kashmir FC. Kozhikode, 5 pm. 16/12/2018 – Minerva Punjab FC vs Chennai City FC. Chandigarh, 2 pm. 16/12/2018 – East Bengal FC vs Mohun Bagan AC. Kolkata, 5 pm. 19/12/2018 – Minerva Punjab FC vs Mohun Bagan AC. Chandigarh, 2 pm. 20/12/2018 – Chennai City FC vs Real Kashmir FC. Coimbatore, 7:30 pm. 21/12/2018 – Indian Arrows vs Gokulam Kerala FC. Cuttack/Bhubaneswar, 5 pm. 22/12/2018 – Neroca FC vs Minerva Punjab FC. Imphal, 2 pm. 22/12/2018 – Chennai City FC vs Real Kashmir FC. Coimbatore, 7:30 pm. 23/12/2018 – Mohun Bagan AC vs Shillong Lajong FC. Kokata, 5 pm. 28/12/2018 – Neroca FC vs Mohun Bagan AC. Imphal, 2 pm. 28/12/2018 – East Bengal FC vs Real Kashmir FC. Kolkata, 5 pm. 29/12/2018 – Aizawl FC vs Gokulam Kerala FC. Aizawl, 2 pm. 29/12/2018 – Chennai City FC vs Shillong Lajong FC. Coimbatore, 5 pm. 30/12/2018 – Indian Arrows vs Churchill Brothers FC Goa. Cuttack/Bhubaneswar, 5 pm. 4/1/2019 – Neroca FC vs Shillong Lajong FC. Imphal, 2 pm. 4/1/2019 – Chennai City FC vs Gokulam Kerala FC. Coimbatore, 7:30 pm. 5/1/2019 – Aizawl FC vs Indian Arrows. Aizawl, 2 pm. 5/1/2019 – Churchill Brothers FC Goa vs Minerva Punjab FC. Vasco, 7:30 pm. 6/1/2019 – Mohun bagan AC vs Real Kashmir FC. Kolkata, 2 pm. 9/1/2019 – Mohun Bagan AC vs Minerva Punjab FC. Kolkata, 2 pm. 10/1/2019 – Churchill Brothers FC Goa vs Gokulam Kerala FC. Vasco, 2 pm. 11/1/2019 – Aizawl FC vs Real Kashmir FC. Aizawl, 2 pm. 12/1/2019 – Mohun Bagan AC vs Neroca FC. Kolkata, 2 pm. 13/1/2019 – Shillong Lajong vs Indian Arrows. Shillong, 2 pm. 14/1/2019 – Chennai City FC vs East Bengal. Coimbatore, 7:30 pm. 18/1/2019 – East Bengal FC vs Indian Arrows. Kolkata, 5 pm. 18/1/2019 – Chennai City FC vs Aizawl FC. Coimbatore, 7:30 pm. 19/1/2019 – Shillong Lajong FC vs Real Kashmir FC. Shillong, 5 pm. 19/1/2019 – Churchill Brothers FC Goa vs Neroca FC. Vasco, 7:30 pm. 25/1/2019 – Minerva Punjab FC vs Shillong Lajong FC. Chandigarh, 2 pm. 26/1/2019 – Churchill Brothers FC Goa vs Indian Arrows. Vasco, 5 pm. 27/1/2019 – Neroca FC vs Aizawl FC. Imphal, 2 pm. 27/1/2019 – Mohun Bagan AC vs East Bengal FC. Kolkata, 5 pm. 28/1/2019 – Real Kashmir FC vs Chennai City FC. Seinagar, 2 pm. 30/1/2019 – Mohun Bagan AC vs Gokulam Kerala FC. Kolkata, 5 pm. 31/1/2019 – Churchill Brothers FC Goa vs Real Kashmir FC. Vasco, 2 pm. 1/2/2019 – Minerva Punjab FC vs Aizawl FC. Chandigarh, 2 pm. 1/2/2019 – Indian Arrows vs Neroca FC. Cuttack/Bhubaneswar, 5 pm. 5/2/2019 – Shillong Lajong FC vs Churchill Brothers FC Goa. Shillong, 2 pm. 6/2/2019 – Real Kashmir FC vs Gokulam Kerala FC. Srinagar, 2 pm. 6/2/2019 – Indian Arrows vs Chennai City FC. Bhubaneswar, 5 pm. 7/2/2019 – East Bengal FC vs Neroca FC. Kolkata, 5 pm. 9/2/2019 – Churchill Brothers FC Goa vs Mohun Bagan AC. Vasco, 5 pm. 10/2/2019 – Real Kashmir FC vs East Bengal FC. Srinagar, 2 pm. 10/2/2019 – Indian Arrows vs Minerva Punjab FC. Bhubaneswar, 5 pm. 11/2/2019 – Neroca FC vs Churchill Brothers FC Goa. Imphal, 2 pm. 11/2/2019 – Indian Arrows vs Minerva Punjab FC. Bhubaneswar, 5 pm. 14/2/2019 – East Bengal FC vs Shillong Lajong FC. Kolkata, 5 pm. 16/2/2019 – Aizaawl FC vs Mohun Bagan AC. Aizawl, 2 pm. 16/2/2019 – Gokulam Kerala FC vs Indian Arrows. Kozhikode, 5 pm. 17/2/2019 – Real Kashmir FC vs Minerva Punjab FC. Srinagar, 2 pm. 17/2/2019 – East Bengal FC vs Churchill Brothers FC Goa. Kolkata, 5 pm. 18/2/2019 – Shillong Lajong FC vs Chennai City FC. Shillong, 5 pm. 21/2/2019 – East Bengal FC vs Aizawl FC. Kolkata, 5 pm. 22/2/2019 – Shillong Lajong FC vs Gokulam Kerala FC. Shillong, 5 pm. 23/2/2019 – Minerva Punjab FC vs Neroca FC. Chandigarh, 2 pm. 24/2/2019 – Indian Arrows vs Real Kashmir FC. Bhubaneswar, 2 pm. 24/2/2019 – Chennai City FC vs Mohun Bagan AC. Coimbatore, 5 pm. 28/2/2019 – Mohun Bagan AC vs Indian Arrows. Kolkata, 5 pm. 1/3/2019 – Churchill Brothers FC Goa vs Chennai City FC. Vasco, 5 pm. 2/3/2019 – Aizawl FC vs Shillong Lajong FC. Aizawl, 2 pm. 3/3/2019 – Minerva Punjab FC vs East Bengal FC. Chandigarh, 2 pm. 3/3/2019 – Gokulam Kerala FC vs Neroca FC. Kozhikode, 5 pm. TBC – Neroca FC vs RKFC. Imphal, 2 pm. TBC – Shillong Lajong FC vs Mohun Bagan AC, Shillong. TBC – Gokulam Kerala FC vs East Bengal FC, Kozhikode. TBC – Chennai City FC vs Minerva Punjab FC, Coimbatore. TBC – Aizawl FC vs Churchill Brothers FC Goa, Aizawl, 2 pm. Previous article Bengaluru FC vs Chennaiyin FC, ISL 2018/19 Bengaluru FC win 1-0 as Miku’s goal in the first half remained the difference between the two sides.